There is a myth in some circles that all gluten free convenience foods are over priced. In some instances this is true, but not all. Some gluten free foods are quite affordable as well as being convenient to use. Products that are labeled gluten free are often over priced for the convenience they offer. Other products, which have been gluten free all along, can save time plus money and add greatly to the variety of a low-budget gluten-free diet. Peanut butter topped with raisins or sliced bananas or thinly sliced apples. Tofu Cream Cheese topped with raisins or sliced bananas or sliced cucumbers or crumbled bacon or jam or jelly or salsa. Tuna Salad, Egg Salad or Chicken Salad. Sliced tomatoes and a dab of mayonnaise. A cooked hamburger patty and all the fixin’s for an open face burger. Hot Baked Beans and crispy bacon. Butter (or margarine) and then Jam or Jelly. Caramel Rice cakes are divine when spread with leftover chocolate frosting. 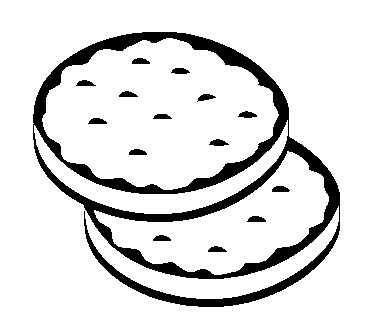 Rice cakes can be toasted if you set the toaster to a “light” setting and watch it to keep it from burning. You can also toast several at a time in a toaster oven, just watch them closely because when they start to brown, burning is only a short few moments away. After toasting spread them with vegan margarine and top with strawberry preserves (preferably homemade). This is better than any “pop-tart” you’ve ever tasted! Caramel Rice Cakes can also be toasted, but they must be watched even more closely because the sugar will burn if you let them toast for too long. With a little practice you can get the setting on your toaster just right and then you don’t have to watch them as closely. We buy storebrand rice cakes from our local Kroger. They offer both caramel flavor, which is good for sweet toppings, and the lightly salted version, which is great for savory toppings. A package of either flavor costs about the same as a loaf of their storebrand whole grain bread. Many other stores have their own brand available too. Gluten-free, cheap, easy to use and incredibly versatile, corn tortillas are a boon to a gluten free kitchen. 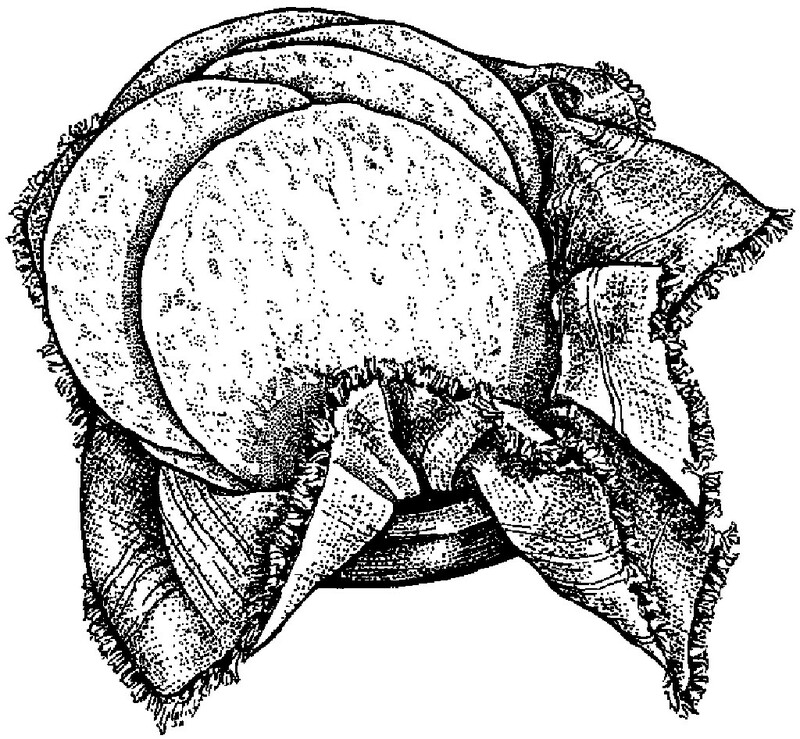 If you’re a purist, you can make your own cornmeal tortillas from scratch using Masa Harina. They taste very good but are terribly challenging to make yourself. I speak from experience. Store-bought corn tortillas are made from whole grain corn and they’re as easy as opening the package. At my house we most often fry them in a little fat and serve them as a hot bread with spicy main dishes. They’re equally good with Mexican food and curries. They make great breakfast burritos, can be turned into tortilla chips, taco salad bowls and simply eaten plain with dairy-free margarine. We even use them to wrap around hot dogs for a gluten-free bun. I’ve written an entire article about using them because they are so versatile. You can find it Here. Not everyone uses soymilk, but for our family, it’s been the best replacement for cow milk. Fresh soymilk in your grocer’s dairy case is usually a good price, especially the store brands. The cheapest way to get soymilk is to make it yourself, either from scratch using dried soybeans (which is a bit time consuming, but not impossible) or with an electric cow or soymilk maker, using dried soybeans. We use a SoyaJoy soy milk maker, which is about 10 years old and still going strong. It makes soymilk, rice milk, almond milk and other milks too. And it makes them in 15 minutes for a fraction of the cost of store-bought soymilk. 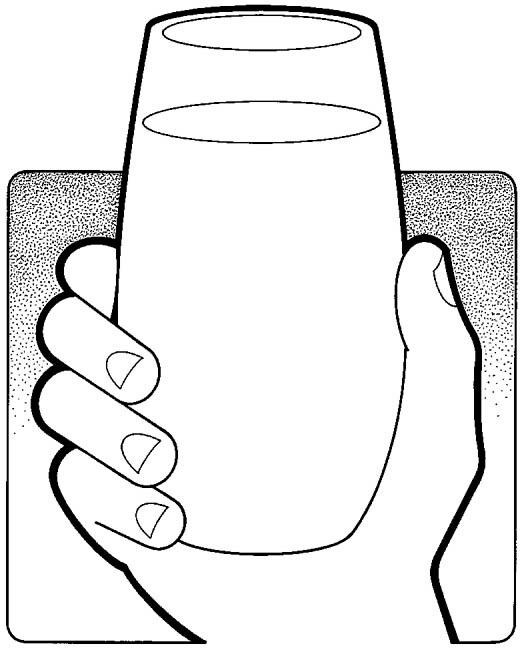 At the time of this writing (Fall 2014) homemade soymilk costs 15¢ per cup or $1.20 per half-gallon or $2.50 per gallon, less than half the cost of store bought soymilk. The machine pays for itself in about 6 months if you’re going through a couple of gallons of soymilk a week. The only drawback is the tediousness of cleaning the filter. I’ve learned to make short work of it by using a wire bristle brush that is designed for cleaning grills. I scrub the filter inside and out with the brush and it’s clean in about 20 seconds. Compared to making soymilk yourself from scratch, using a soymilk maker turns homemade soymilk into a convenience food. 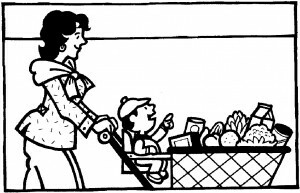 I actually find it easier than running to the market every couple of days to pick up a fresh supply. However, not everyone is willing to make their own soymilk, even with an electric cow. In this case, store-bought soymilk is an affordable alternative. Store brands are widely available and usually cost less than national brands. I prefer plain over vanilla flavored. Chocolate is usually the same cost as plain and is very popular among children. Heat a mug of it in the microwave for quick hot chocolate. I also buy half-gallon tetra-pack boxes of shelf-stable unsweetened soymilk. For gravy, casseroles and white sauce, I find that unsweetened soymilk makes a superior finished dish. I prefer Westsoy brand, but use store brands when I can find them. Shelf stable soymilk in half-gallon cartons costs a little more than fresh soymilk, but it keeps well on the pantry shelf, which is handy when you live the feast and famine lifestyle like we do. 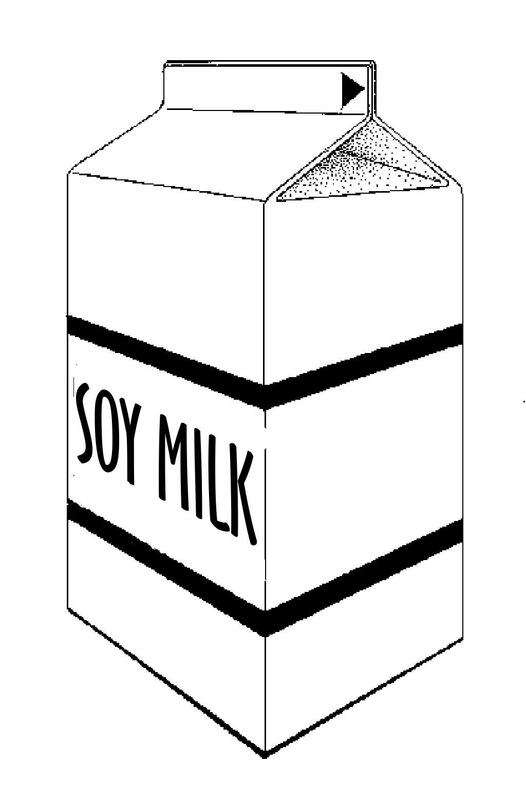 Be careful of most shelf-stable soymilk, especially the quart size. In my experience it’s much more expensive than fresh soymilk in the dairy case. Powdered soymilk is available in two versions, plain powdered soymilk from NOW foods and Better Than Milk which is made from tofu. Both are a little pricey at my local health food store, but they are convenient. I have found them considerably less expensive online (vitaglo.com) than at local health food stores. Purchased in bulk, online, both can be had for less than the cost per serving of fresh soymilk. Better Than Milk is delicious and can be served as a beverage or over cereal or used in mixes. Plain soymilk powder is good in baking mixes. Both have a place in my kitchen. Other nondairy milks such as rice milk, almond milk and coconut milk are available, sometimes for about the same price as soymilk, but usually more expensive. I do not buy these other milks because they are not as nutritious as soymilk and they cost more. Almost all store-bought soymilk is fortified with calcium and vitamin D which we are accustomed to finding in our milk anyway. 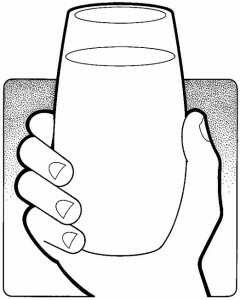 Homemade soymilk from scratch, or made in an electric cow, or reconstituted from powdered soymilk is not fortified with calcium or vitamin D.
To summarize, making your own soymilk with an electric soymilk maker is the least expensive and most convenient way to obtain it. Powdered soymilk, bought online for the lowest possible price, is the next most economical. Fresh store brand soymilk is next in line. It costs about twice as much as making it yourself. Shelf-stable boxes are convenient for storage but usually cost the most per serving. Sometimes larger boxes can be found for the about the same price as fresh cartons of soymilk. 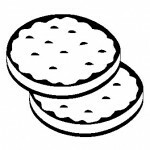 At their lowest price they may be appropriate for short term (6-months or less) pantry storage. 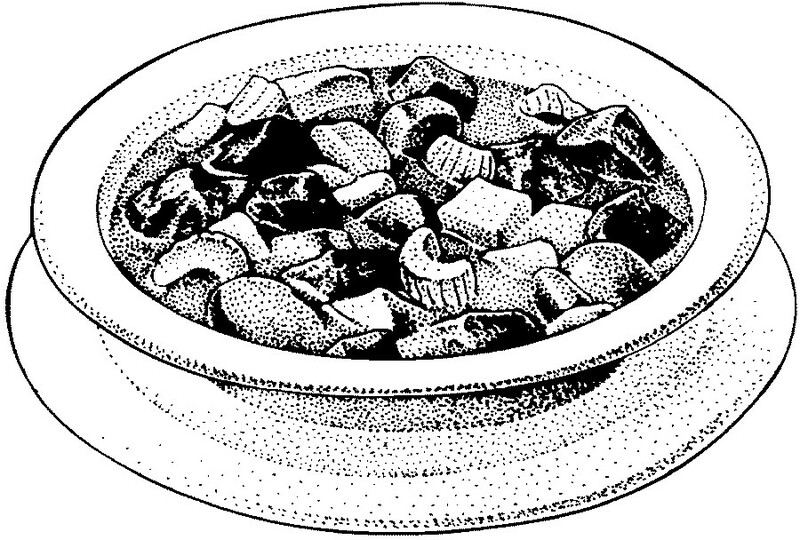 Most people do not think of regular white rice as a convenience food. It’s easy to assume that instant rice is the only type of rice that can be called convenient, but I disagree. While instant rice may have it’s place for some consumers, I believe that regular white rice is superior on all fronts. In fact, I wrote an entire article about it. The main facts are these. Long grain white rice costs about 10¢ per 1-cup serving. Instant white rice costs about 18¢ per serving. Long grain white rice cooks in 20 minutes (or a little less). Instant rice cooks in 5 minutes (or a little more). If you use instant rice then you save only 10 to 15 minutes of cooking time, but you pay almost twice as much per serving for the convenience. You still have to measure the rice and the water. You still have to wash a pot. To me, the time-verses-money tradeoff is not worth the expense. Long grain white rice takes up far less storage space than instant rice. It has a better texture when cooked and tastes better too. Compared to brown rice, which takes 45 minutes to cook, long grain white rice is quick cooking and convenient. 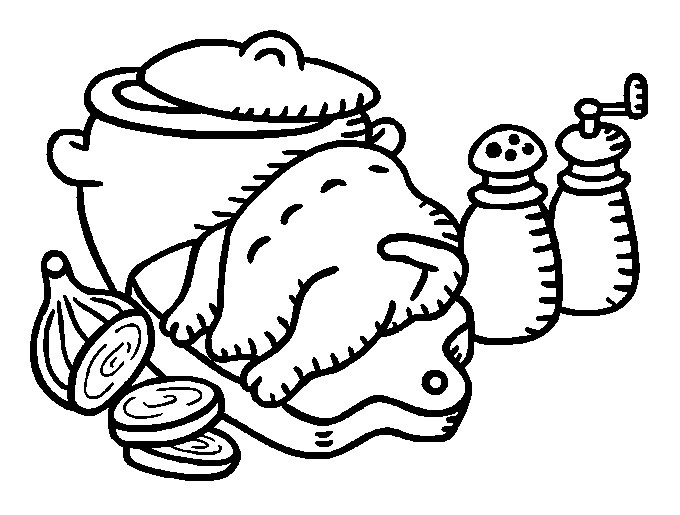 Brown rice must be rinsed before cooking, to remove any dust or debris. 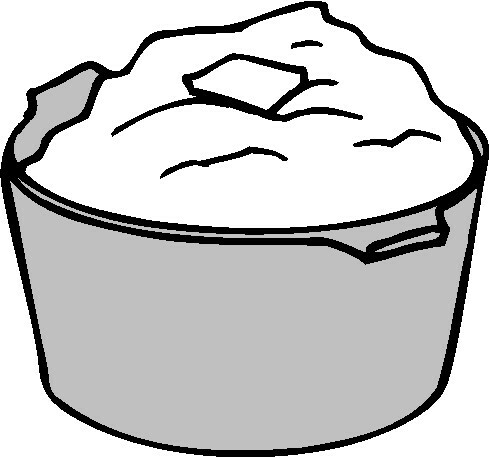 Long grain white rice does not require rinsing, which saves a step in preparation. Long grain white rice is universally popular. Everyone likes it, even kids who don’t like much of anything else. Compared to the competition, long grain white rice saves both time and money. It’s naturally gluten free, versatile, easy to cook and popular. To me this is win/win all around. If you haven’t made long grain white rice a part of diet yet, then I urge you to give it a try. It’s one of the biggest bargains for any budget, but especially for those of us eating gluten free. Gluten free cold cereals are easier to find than they used to be. General Mills has several varieties of their Chex cereal that are gluten free. 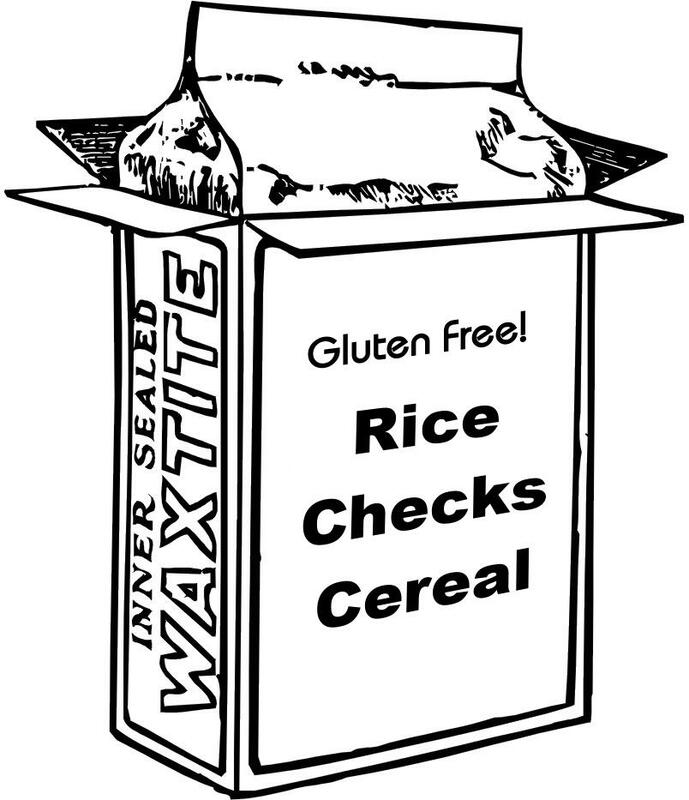 If you receive WIC then by all means, stock up on the Chex cereals. They taste good and kids like them. They can be used to make snack mixes, both sweet and savory and can of course be eaten for breakfast or as a quick snack. If you don’t receive WIC then check out the store brand versions of Corn Chex and Rice Chex. Some store brands are gluten free, some are not. Find some that are and use them as you like. I buy store brand cornflakes, which are usually not gluten free. They usually have malt in the ingredient list, which does contain gluten. The small amount of gluten in cornflakes does not seem to affect me or my kids. Recently I found that the value brand of cornflakes at a local dollar store does not contain malt. They are very affordable, so that is the type I have been buying since I discovered them. Cornflakes, rice chex and corn chex all make good cereal, but they really come into their own when used to make breadcrumbs. Store-bought gluten free breadcrumbs cost an obscenely large amount of money. Do not buy them. Making your own gluten free breadcrumbs takes a lot of time because you have to make the bread dough, bake the bread, slice it, dry it out and then grind it into crumbs. It’s a lot of work. You can save both time and money, by making your own breadcrumbs from cereal. Simply take your box of cereal and grind the flakes in the blender or a food processor until crumbly. Store the crumbs in a plastic tub with a good lid in your pantry. They are handy in meatloaf, as a breading for fried chicken, topping casseroles, in meatballs and salmon patties. If your recipe calls for breadcrumbs, cracker crumbs or cereal crumbs, use your ground up cereal instead. They can even be used to make graham cracker crusts for pies. Follow any recipe for a graham cracker crust, replacing the graham cracker crumbs with your cereal crumbs. Add a little more sugar and a bit of cinnamon. Then proceed as directed by your recipe. Your pie crust will turn out perfectly. The ultimate bargain in convenience foods, instant mashed potatoes go from box to the table in about 5 minutes. The longest part of the process is waiting for the water to boil. Real mashed potatoes involve washing, peeling, chopping, boiling, draining and mashing, or about 45 minutes worth of work. They taste great and are superior nutritionally, but it’s an awful lot of work when you’re pressed for time and have screaming children doing a war dance in your kitchen. Instant mashed potatoes are quick and they taste good. Kids especially like them. They cost less per serving than real mashed potatoes, meaning they save both time and money. I prepare them with unsweetened soymilk instead of dairy milk and dairy-free margarine. I use about half of the salt called for on the label and add a goodly sprinkle of pepper. Sometimes I add 1/2-teaspoon of sugar to enhance the flavor. Sometimes I don’t. When you buy instant mashed potatoes look for a large box of plain store-brand instant potatoes. Read the ingredients. You do not want the kind with any added dairy products. You want the plain kind with only dried potato flakes in the box. You can vary the flavor by adding garlic and onion powder or stirring in a little tofu yogurt or tofu sour cream. You can also add bacon bits or shredded dairy-free cheese such as Daiya brand. The flavored types of instant mashed potatoes are not a good buy because all of them contain some type of dairy, and they cost about four times more per serving than plain instant mashed potatoes. 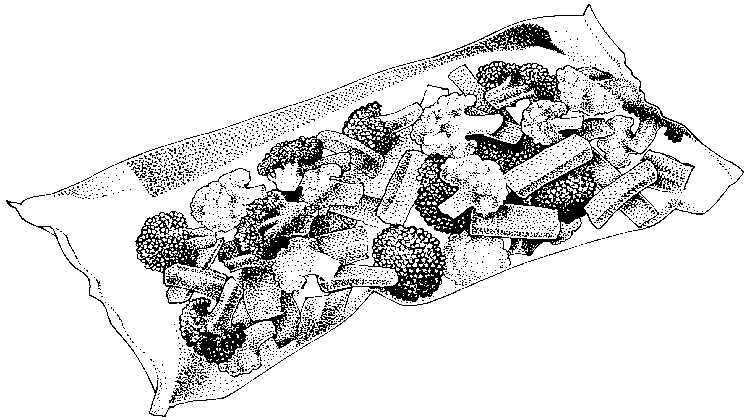 We’re talking about plain frozen vegetables, in bags, with nothing extra added. Some frozen veggies have added sauce or seasonings. This makes the bag weigh more, so they can charge more money for less food. Some frozen vegetables have added noodles or pasta. These contain gluten and should be avoided. Usually the best price can be found on large bags of plain common vegetables such as green beans, broccoli, peas, corn and the like. Two-pound bags and five-pound bags are often less per ounce than 1-pound bags. There has recently been a move in the industry to reduce bag size from 16-ounces down to 12-ounces. Sometimes these smaller bags are the same or less per ounce than the larger bags. Usually they are more. For the best price choose your frozen veggies by the price per ounce (the unit price) rather than the price per bag. It’s too easy to get tricked. Frozen vegetables save the time of washing, peeling, stringing and chopping fresh vegetables. You only pay for edible food. There is no waste in stems, strings, ends and stalks. They often cost less than the fresh version of the same vegetable. Another advantage to frozen vegetables is that they keep forever in the freezer. Fresh broccoli will keep in the refrigerator for a week. After a couple of weeks it turns yellow and may develop mold or rot. If you’ve lost it in the back of your veggie drawer then it’s wasted money and lost nutrition. A couple of week in the freezer for a bag of frozen broccoli is nothing. Save time, save work, save nutrients, buy plenty of frozen veggies. The ultimate in kid-friendly cuisine. These save the time of washing, peeling, cutting and the mess of frying your own homemade French fries. Homemade French fries taste better and are better for you. I will not deny that. But they, like real mashed potatoes, are a lot of work. Frozen French fries are so much easier and to be honest, my kids like them better than homemade. I don’t, but they do. Large bags, 5-pounds or bigger, are usually (but not always) the cheapest per pound. Check the unit price to be sure. Store-brands are cheaper than name brands and take the same amount of time to prepare. 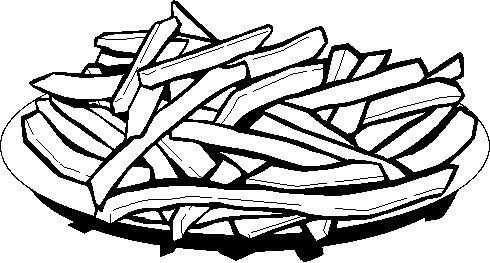 To make your French fries taste the best, bake them at a slightly higher temperature than recommended on the package. For instance, if the package says to bake them at 400º, then increase the temperature to 425º. Also bake them longer than suggested. If the package suggests 25 minutes, then bake them for 35 minutes instead. 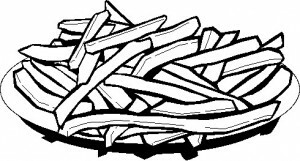 Longer baking at a higher temperature makes frozen French fries crisper on the outside and more tender on the inside. Simply put, they taste better. Tater tots can sometimes contain gluten, so read the ingredients to be sure yours are gluten free. The ones I buy cost the same per pound as French fries, but sometimes tater tots can cost more, so compare prices to get the best bargain. Like French fries, tater tots taste better if cooked at a higher temperature for a longer length of time. This will make them brown and crispy instead of soggy. Soggy tater tots are not good, so try to avoid them. In large bags French fries and tater tots can cost less than fresh potatoes, depending on the season. With the work they save and how willing most children are to eat them, they are one of the better convenience foods available. Per serving, frozen fruit juice concentrate is cheaper than refrigerated juice and cheaper than the bottled juice too. Compared to fresh squeezed juice it’s downright cheap. Fruit juice concentrate saves the time and hassle of juicing fresh fruit and gives you all the nutrition of the refrigerated version. Consider this. Most bottled and refrigerated fruit juice is made from concentrate already. Read the label of your favorite version and you’ll see what I mean. This means that factories take frozen or canned fruit juice concentrate, mix it in a vat with water and then put it in jugs and cartons to sell to the consumer. They are charging you more, often twice as much, for the 60-seconds it takes to combine a frozen can of juice concentrate with 3-cans of water. This is absolutely ridiculous. I have heard from so many mothers who say their children will only drink juice that comes in a carton or a bottle, and that they can’t buy the frozen concentrate because it’s too much work to mix it in a pitcher themselves. It leaves me agog that something so easy, is seen as work. Mixing your own fruit juice from concentrate literally takes less than a minute and the savings are enormous. 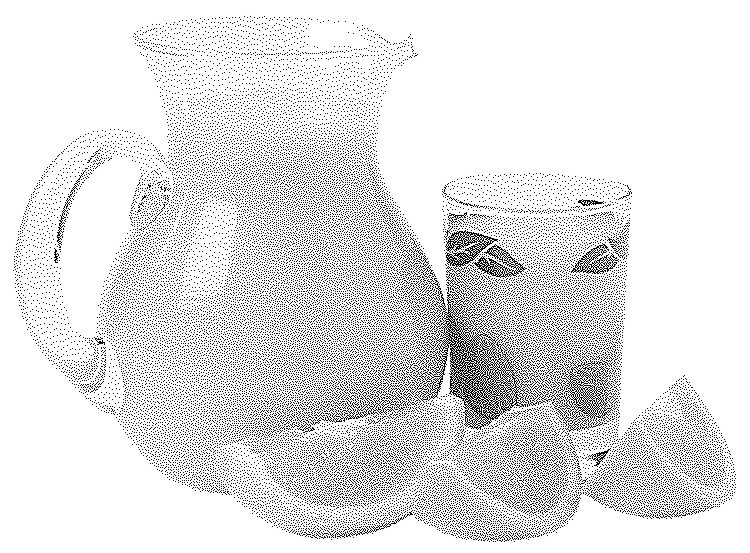 It’s okay to teach children to drink juice from a pitcher instead of a jar. It won’t hurt them. They may be a little squeamish at the change, but if the only juice in the house is in a pitcher they will learn to accept juice from a pitcher. It’s not a big deal. Families have had to make do with the foods they can afford for literally thousands of years. Using juice made from frozen concentrate instead of bottled or refrigerated juice is one of the least painful changes you can make to your diet, and the cash savings is significant. The only exception to frozen concentrate being cheaper is large bottles of store-brand apple juice. Sometimes they are less per ounce than prepared apple juice from concentrate. Sometimes they are quite a bit more expensive. A 12-ounce can of frozen fruit juice concentrate makes 48-ounces of fruit juice. Divide the cost of the can of concentrate by 48 and you have the price per ounce. The math is a little complicated, but most elementary children can manage it. 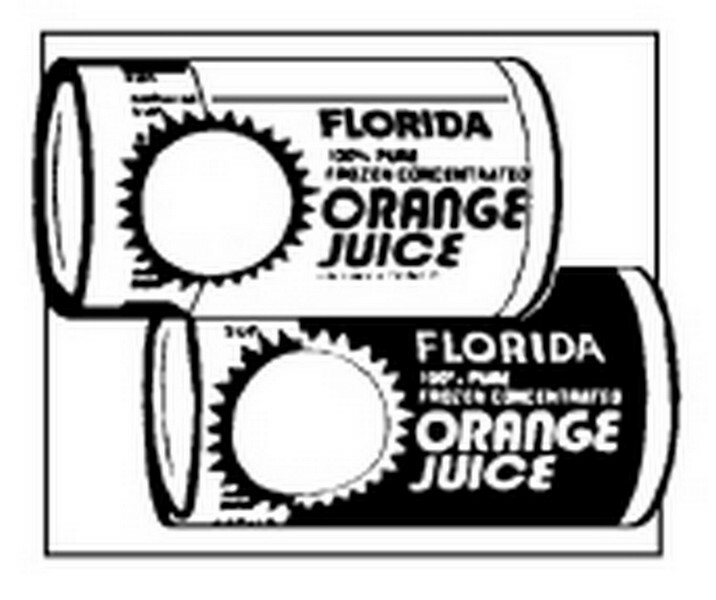 If you don’t want to be bothered by the math, then just buy frozen fruit juice concentrate. It’s nearly always the better buy and it takes up less storage space than refrigerated juice and juice in jars. The cheapest types of frozen fruit juice concentrate are usually apple and orange juice. Grapefruit juice and grape juice are often affordable as well. Check the label to make certain you’re buying 100% fruit juice. You don’t want juice cocktail, which is sugar water plus a little fruit juice for flavor. These include canned tomatoes, tomato sauce, tomato paste and canned spaghetti sauce. They are all low cost and easy to use. Making your own canned tomato products takes a lot of time. If you grown your own tomatoes then it’s definitely worth the effort. If you don’t grow your own tomatoes then buying the canned version is much cheaper than fresh tomatoes most of the year. Look for no-salt-added store-brand versions of your favorite tomato products. 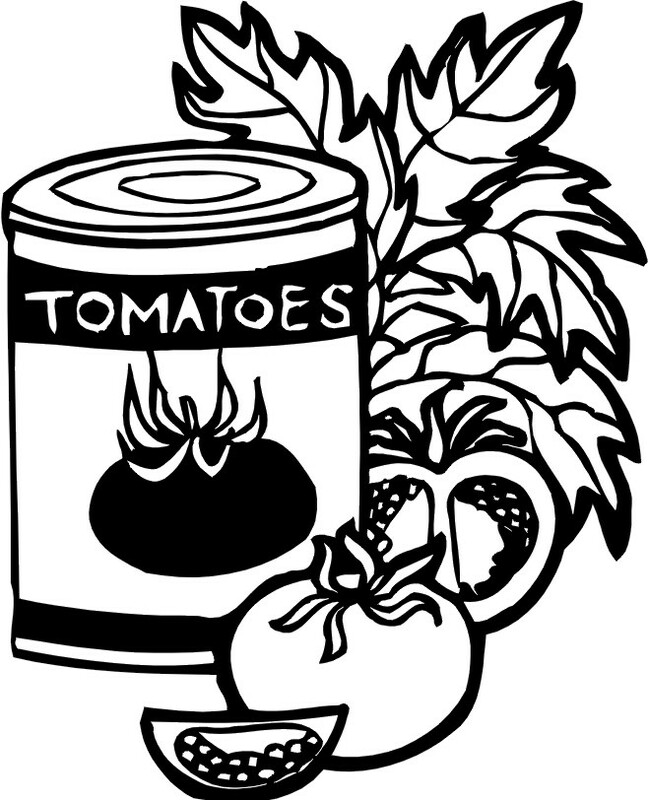 Canned tomatoes taste fresher when there is no salt added during the canning process. If you need fresh tomatoes to top a salad or tacos, then use canned, chopped tomatoes, with no added salt. Drain them well. Save the juice because it’s good tomato juice that can be used for drinking or cooking. Canned tomatoes are pretty juicy so it’s hard to drain them completely. Just drain off as much of the juice as you can, and don’t worry about it. Draining a can of tomatoes is less work than chopping a fresh tomato and for most of the year, costs significantly less. Canned tomato sauce and tomato paste are possible to prepare at home, but take a lot of preparation, pureeing and then boiling down, not to mention the processing time. Tomato paste is especially affordable and can be thinned down to make into other tomato products. For instance, if you add 2-cans of water to a can of tomato paste and stir until smooth, you get the equivalent of tomato sauce or tomato puree. If you add 4-cans of water, then you get the equivalent of tomato juice. Tomato paste is so much cheaper than puree and juice, that it makes sense to use it instead. Canned spaghetti sauce is one of the great bargains in canned goods. It saves the work of chopping vegetables, measuring seasonings and simmering homemade sauce over the stove for an hour to develop the flavors. You simple open the can and use it however you like. I am careful to choose spaghetti sauce with no added sugar and no added dairy products, like cheese. It’s good on pizza, on pasta and in Italian soups. Plus it costs about the same per ounce as regular canned tomatoes. It’s one of the most affordable convenience foods you buy. Beware of jarred spaghetti sauce, which almost always costs more and doesn’t taste any different. Stick to the canned version for the most savings. A healthy, budget-friendly staple, canned fruit offers several advantages over fresh. First off, it’s affordable. Sometimes fresh fruit is so high priced, that besides apples, bananas and oranges, I simply can’t afford it. 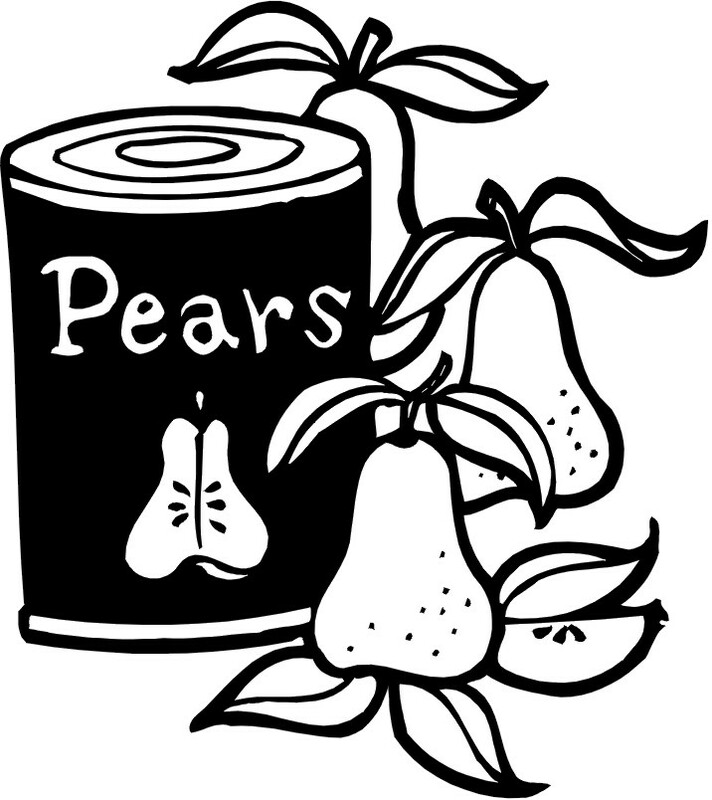 Canned fruit is almost always cheaper than an equivalent amount of fresh fruit, especially in the winter. When fresh pineapples are $4 a piece and a 20-ounce can of pineapple for $1 will give me an equal number of servings, I go with canned pineapple every time. It saves the work of cutting, peeling and slicing, plus there is no waste. I won’t tell you that canned pineapple tastes as good as fresh, but I will tell you that taste isn’t everything. No matter how good something tastes, no matter how healthy it’s supposed to be, if I can’t afford it, then it’s just pie in the sky. 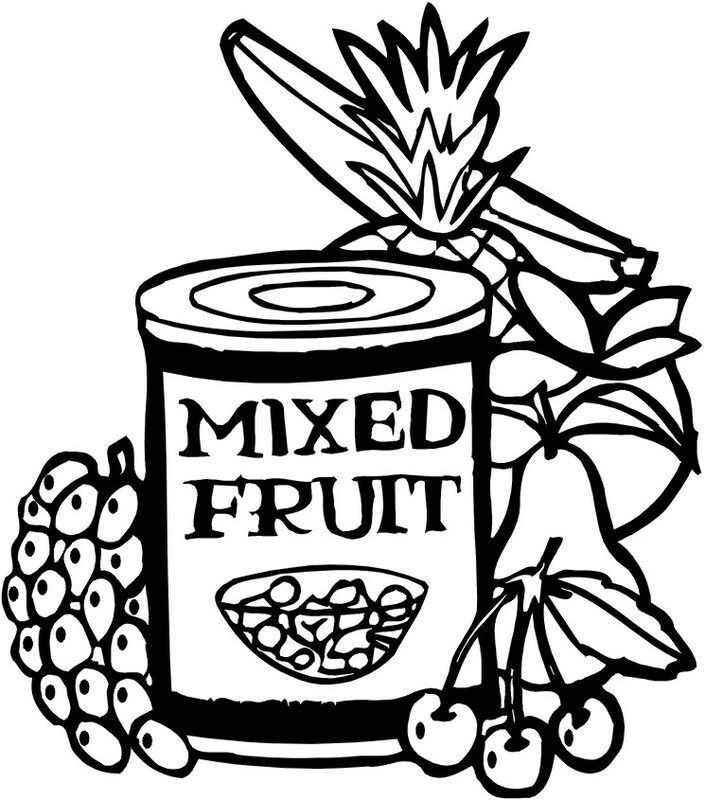 The most affordable canned fruits are applesauce (in large jars), mixed fruit or fruit cocktail, peaches, pears, pineapple and raisins, which are dried, not canned. Sometimes canned mandarin oranges and mixed tropical fruit are affordable, but sometimes they’re too expensive. Sometimes prunes are affordable. They are dried plums and taste surprisingly good. Usually larger cans of fruit are cheaper per ounce than smaller cans. I buy 28-ounce can whenever possible. Fruit with added sugar is usually cheaper than fruit canned in fruit juice, with no added sugar. I pay a little extra for fruit without sugar. I won’t pay a lot extra though. If the only canned fruit I can find is packed in sugar then that’s what I buy. I am feeding hungry children, and they don’t have a problem with a little extra sugar in their canned fruit. If I were just feeding myself and Fred, both of whom have trouble with too much sugar, I would only buy the type canned without sugar. 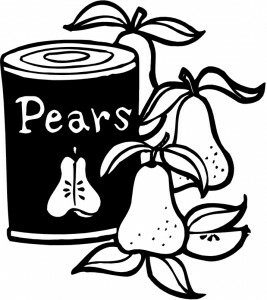 Canned fruit does not require any peeling, thawing, or chopping. You don’t have to cut out any cores or remove any seeds. The entire contents of the can is edible, so there is no waste. The juice leftover from canned fruit can be added to beverages such as iced tea, kool-aid and fruit juice from concentrate. It’s also good in Jello and can be used as the liquid in baked goods such as muffins and pancakes. There is no need to waste it. Do not buy individual fruit cups that are packed to be lunch-box and snack friendly. Buy some small, resealable plastic containers and use them to tote canned fruit in your lunch box. You’ll save money and produce less waste, thus becoming more environmentally friendly. 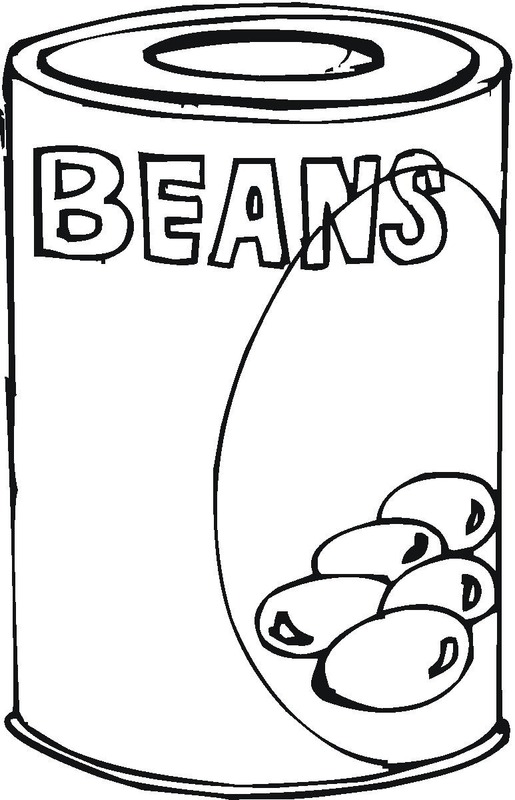 Dried beans are probably one of the world’s original convenience foods. They’re affordable, light weight, store easily, keep practically forever, and require very little skill to prepare. 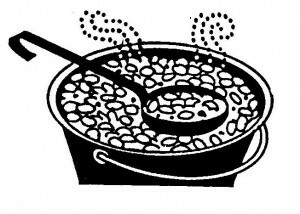 If you can boil water, then you can boil dried beans in water until they are tender. No matter what gourmet cookbooks would have us believe, it’s not rocket science. Most dried beans take several hours to boil until tender but a few do not. Lentils, split peas and blackeyed peas can all be cooked in less than an hour. Lentils are the fastest at about 30 minutes, then blackeyed peas and split peas at 45 minutes to an hour. 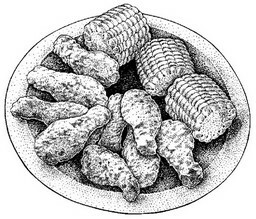 When you’re pressed for time and working on a very tight budget, these three legumes can get dinner on the table with very little trouble. If you have a little more money to spend then canned beans are very convenient. They cost at least twice as much as making your own dried beans from scratch but they are the essence of convenience. Simply open the can, heat and eat. A 15-ounce can of beans is the equivalent of 1-1/2 cups of cooked, drained, dried beans. I routinely purchase canned refried beans and baked beans. They both make quick meals and cost about the same amount as regular canned beans. They have the added value of already being seasoned. If you have the time to cook your own beans, then they are the most economical. The most convenient way I’ve found to cook them is to put them in a crockpot. Add 4-times as much water as beans and let them cook on High overnight. 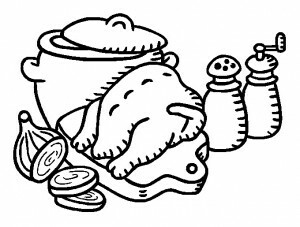 In the morning you will have perfect cooked beans. You can also freeze your cooked beans, to have them on hand for easy use when you don’t have time to cook dried beans from scratch. They keep the longest if they are covered with water or bean juice so they won’t dry out in the freezer. They can be thawed before using, or if you’re adding them to a juicy main dish such as chili, just add the frozen beans directly to the pot and let them thaw as they simmer. Dried beans are the best buy, and they truly are a convenience food, even in this day and age. Canned beans take less time to prepare, but cost more. Whichever type you use, beans are good for you, nutritious and even the more expensive canned version is more economical than a lot of other protein sources at the supermarket. If you’re pressed for time, low on cash, and have finicky eaters then lentils are probably your best bet. Pickles, jelly, ketchup, barbecue sauce, mustard, mayonnaise, salsa, these are items you can make yourself, but no one thinks less of you if you don’t. 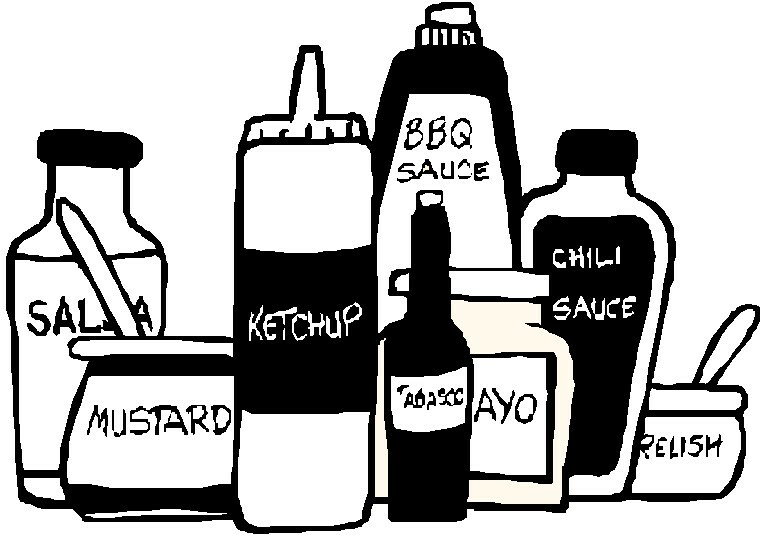 Most condiments can be found very affordably in store-brand. I have found them to generally be of good quality. There are some condiments that are cheaper to make yourself than to buy, but the list is a small one. Pancake syrup is cheaper and tastes better if you make it yourself. Most salad dressings are a fraction of their store bought price when made at home. They also have the advantage of being lower in sodium and they just taste so much better when made from scratch. Salad dressings often contain hidden dairy ingredients. When you make them yourself you can make sure they are both dairy and gluten free. These are the exceptions though. 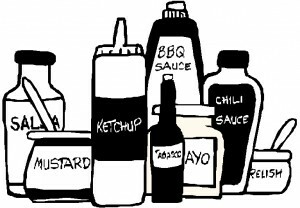 Basic condiments such as ketchup, mustard and mayonnaise are blissfully affordable so there’s really no reason to go through the work of preparing them yourself unless you have special dietary needs. While on the topic of condiments I want to mention soy sauce. 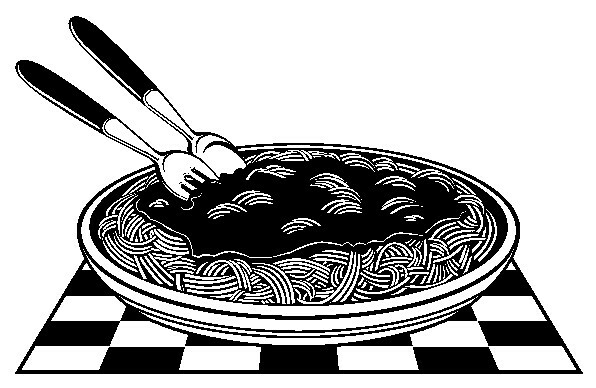 Some of it contains gluten, but there are plenty of versions that do not. La Choy is the easiest to find gluten free soy sauce, but there are plenty of others. I use Kroger brand low-sodium soy sauce for most of my cooking and have been very pleased with it. If you prefer a brewed version, San-J is absolutely divine. They make a special gluten-free low sodium version that is out of this world. It costs nearly three times as much as my old reliable store brand though, so we don’t buy it very often. In the condiment aisle there are a gazillion upscale, high priced, exotic condiments that really do not have a place in any thrifty kitchen. You’re better off sticking to the basics and avoiding jars of pickled okra, meat marinades and foreign sounding sauces that cost more per pound than the meat you’ll be putting them over. Use common sense. Stick to common condiments and you’ll save yourself time and cash in the process. Some kids on the autism spectrum react strongly to MSG. 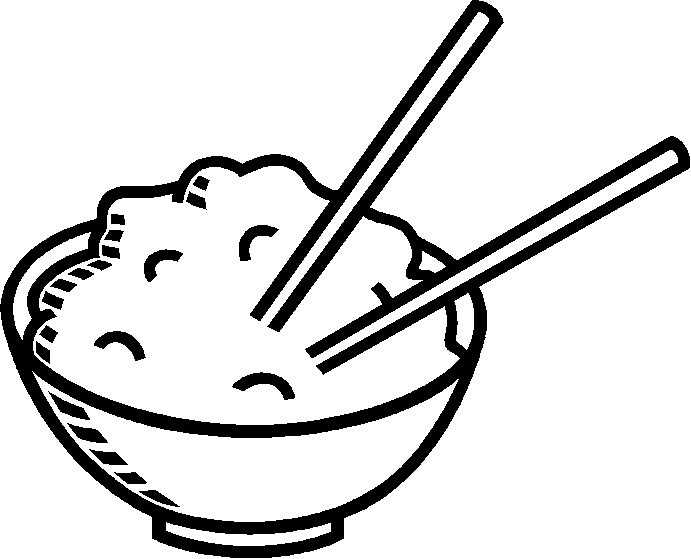 Almost all broth powders and bouillon cubes contain MSG. A couple of notable exceptions are Fronteir brand vegetarian broth powders, Edward & Sons vegan bouillon cubes and Vogue Cuisine broth powders. I’ve used all three and find them all good. Fronteir broth powders require 1-tablespoon of powder to make 1-cup of broth. Edwards & Sons bouillon cubes are jumbo size. One cube makes 2-cups or a pint of broth. The cubes are easily cut in half or quarters if you need to make a smaller quantity. Vogue broth powders call for 1-teaspoon per cup of water, but I usually use 1-1/2 teaspoons (or half a tablespoon) because they tend to be bland. Homemade broth is also MSG free, although not a convenience food by any means. Any product that lists Hydrolized Vegetable Protein, Hydrolized Soy Protein or Autolyzed Yeast in the ingredients does in fact contain MSG even if the label suggests otherwise. This is one of those labeling loopholes that has yet to be corrected by the FDA. To lean more about MSG check out the website MSG Truth. If you have MSG allergies then you have my sympathies because it’s even harder to root out than gluten is. My family does not seem to be adversely affected by MSG so I use broth powders and bouillon cubes rather freely. For homemade mixes I prefer broth powders because they are easier to measure and dissolve more quickly in hot liquid. Broth powders almost always have a lower sodium level than bouillon cubes, so they’ve got that going for them too. My favorite broth powder is Herb-Ox which is gluten-free. I use both the regular granulated version and the low-sodium version. It’s readily available at most markets. I also use a product called Better Than Bouillon. It’s usually found in the soup aisle. It makes by far the best tasting store-bought broth I’ve ever had from a jar, a box or a can. It cannot be used in your own homemade mixes because it must be refrigerated after opening. Canned and boxed broth is a waste of money. It doesn’t taste any better than the type you make from powdered bouillon and the price is sky-high. If you want really good quality broth there is no way to get it except to make it yourself. If you’re not willing to do that, then stick to the powdered version or bouillon cubes. 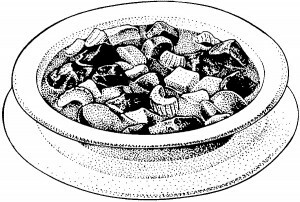 Did you know that most canned beef stew is gluten free and dairy free? I did not, but it’s true. Dinty Moore is the brand most people are familiar with, but most store brands are gluten and dairy free too. Read the label make certain. I’ve purchased store brands from several different markets and have always been pleased with the quality. Canned beef stew is not the sort of thing I want to live off for every single meal. Ugh, just the thought is unappetizing. Sometimes though, you need an emergency meal. You need something the kids or your spouse can make themselves with zero effort on their part. In this case canned beef stew is a good option. Store brands are the most economical. I use Great Value brand and the family has been satisfied with it. I emphasize again to read the label because ingredients change all the time. If you need a quick, relatively affordable meal when you simply cannot prepare one yourself, it’s nice to know that if worse comes to worst, there’s a can of stew in the cupboard and the family can heat it up themselves. You can always expand it by adding canned or frozen mixed vegetables. I am going to use a lot the these ideas. Thank you for all of this information. Thanks Patricia. I’m glad you found them useful. I’ve been reading your articles, trying to catch up. Haven’t done much lately except be ill. Spent 4 hrs. Christmas Eve in ER with blood glucose over 600 and I couldn’t get it down. Turned out to be a easily fixed problem with my insulin pump. Then after that thrilling adventure (exactly one week later) I came down with an upper respiratory infection and began to battle high blood glucose levels again, along with having a dry raspy non-productive cough that drove me crazy. Needless to say I didn’t have much sleep in that time period. But today–PTL–I feel as though I’m on the mend. Still have some coughing but hoping that won’t last too much longer. You forgot one convenience food that has saved my bacon many times…canned tuna. 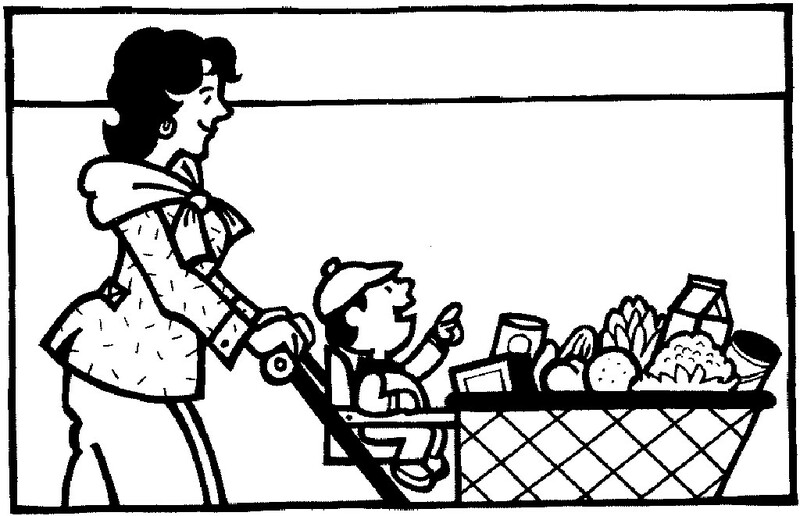 My kids always loved anything made with it and I had a full list of things I could throw on the table in record time. The favorite dish was creamed tuna on toast with a veggie and canned fruit. No one ever complained when that showed up on the dinner table. Come to think of it, that sounds pretty good. Haven’t had it in forever and tomorrow might be a good selection for supper. Tonight it’s brown beans and that Saleratus corn bread, a salad and fruit cocktail. Yesterday I had two bananas turning black on the kitchen counter so I made banana muffins with dark chocolate shavings and on top of each mini muffin I put one pecan. Hubby came in later and saw then on the cooling racks. After eating a few, he remarked, “Where did you get this recipe? It’s pretty good.” I put my fore finger on my temple. and he said, “I should have known. And I suppose it’s sugar free and very low in fat.” Yes, indeedy. Supper is calling. You know beans and ham are better leftover than when freshly cooked. Take care and God bless you bunches and bunches. You, Maggie, are one in a million! Thank you, great list. I’m gluten free and agree with the Chex suggestion. I even put rice Chex crumbs in the skillet with onion powder, butter and salt to make a replacement for canned fried onion rings. So yummy.